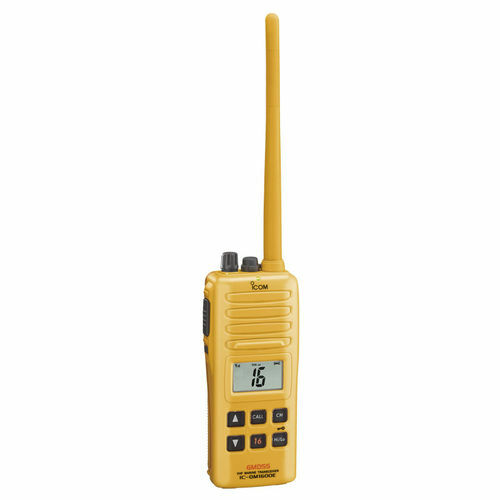 The IC-GM1600E meets temperature, thermal shock, vibration and drop resistant (from 1 m height) requirements. After passing those environmental tests, the IC-GM1600E retains 1m depth waterproof construction as specified by IMO resolution MSC.149(77) and other related regulations. A wide viewing angle, high intensity LCD offers extra clear, easy to read characters. The bright LED indicator on the top of panel shows the operating condition clearly.